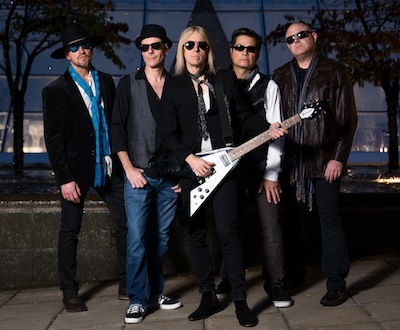 Dave Danylchuk is emerging as one of North America’s premier Tom Petty Tribute Artists. He has performed several theatre shows and festival appearances including Peach Fest in Penticton BC, VIEX in Nanaimo BC, etc and has also performed at the Blue Frog In Studio session. 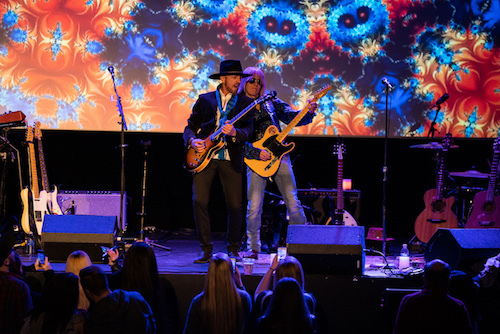 You can see Dave D perform in all variations of production, from the full live band Heartbreakers experience, to solo and small groups, both acoustically and with full production back track, all as Perfectly Petty starring Dave D as Tom Petty. 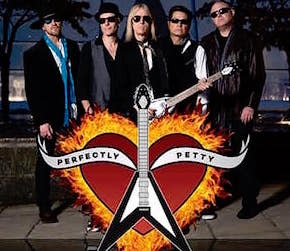 In addition to an all Tom Petty show, Perfectly Petty also offers theatre and corporate shows, the Tom Petty ICONS And INFLUENCES Experience, featuring a review of Tom Petty’ musical journey from his teens, inspired by the likes of The Beatles, the Byrds, and Elvis Presley, to his collaborating with the likes of George Harrison, Bob Dylan, Roy Orbison, the Travelling Wilburys, Stevie Nicks and more. Also available, a corporate add-on set featuring hits from the golden era of the first wave of new wave when Tom Petty and The Heartbreakers were leading the pack of new artists like the Cars, The Police, Talking Heads, Joe Jackson and other radio hit artists of the seventies and eighties. In less than a year, Dave has established himself as a true dead ringer in look, style, sound, and performance, and has thrilled and transported audiences with his ability to honor the artist who has touched millions of people worldwide for decades. 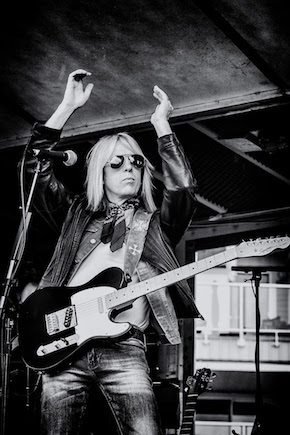 Dave D as Tom Petty embodies the spirit of Tom Petty and performs with a connection to the spirit of rock and roll that Tom Petty was integral in cultivating. Dave D’s performances with Perfectly Petty conjure up the essence of the era and together the band and the singer create moments of magic that are thrilling to behold. Dave D and Perfectly Petty are also available to lead workshops day of/after their theatre shows. Workshops suitable for adults and children. Dave is owner/operator of Sonic Planet Rock School, established in 2005. The school offers lessons for all ages and abilities on a variety of instruments and rock band classes. 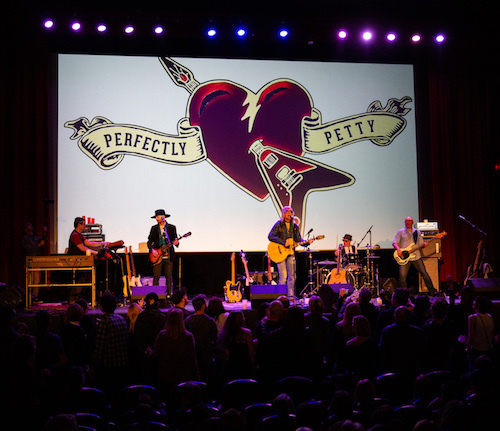 Perfectly Petty workshops would include some historical background to Tom Petty's career and his many musical influences. At 9 years old the guitar became an obsession for Jordan. That obsession along with the drive to improve as a musician still burns strong today. In the early 90s, Jordan spent a year enrolled in the Guitar program at the world renown Musicians Institute in Hollywood, California honing his craft studying multiple genres of music. After the incredible experience in California, Jordan relocated to Vancouver and began teaching music, writing and performing in multiple original and cover bands of varying styles. Today Jordan keeps busy performing as a solo acoustic act drawing from a vast repertoire of music, putting his own acoustic interpretations of current popular music to the hits from the 70s, 80s & 90s. Continual growth as a musician and keeping up the guitar chops is of high importance as on many occasions Jordan gets the call to fill in on guitar with some of Vancouver's top working bands. Paul started his musical journey at a very young age thanks to his mother's involvement in a vocal quartet where rehearsals were held at the family home. His musical ear was quickly recognized when he would point out which singers were singing out of key. He started playing classical guitar with the Royal Conservatory of Music at the age of 7. His eventual interest and self-teaching in bass guitar started at the age of 14 years, and has never stopped. He has toured Canada multiple times with many Canadian acts including the Juno-nominated band Rymes With Orange, and thrives playing live with the amazing talent of his fellow musicians he is so fortunate to create with. Scotty McCargar began playing at an early age, hung out in a high school so he could live part-time in the band room and ran away with a touring band at the 'too young to know better' age of 17. After a year and a half he returned home and formed Cactus Juice, a "real band" with his brother and friends. They took off for rock stardom awaiting them in Toronto. Scotty starved in Toronto with Cactus Juice, so he moved to Vancouver and joined Strapping Young Lad. The only job available in the gig was keys/samples and he rocked that keyboard. After a year of working with SYL, he developed a strong bond with the Kerns' brothers (Todd, Jon and Ryan) and became the drummer for the band Static in Stereo. After recording and touring for over two amazing years, he met Bif Naked. She offered him the job as drummer in her band with a secret identity (Scotty Sexx) and he took it. Scotty recorded and toured with Bif for six years and in those travels he met up with the house band, Fully Loaded, which performs at the legendary Vancouver night club The Roxy, where he now works as resident drummer Thursday to Sundays. Craig played his first gig at age 12 influenced by acts such as Elton John, Yes and Pat Metheny. A native of Victoria he moved to Vancouver in his early twenties to attend the Capilano College Jazz-program. He has played in original bands such as The Rainwalkers, Welkin, Freedom Press and Cory Hawthorne and the Loners. He is also a veteran of the Vancouver club scene with The Pop Junkies and Does Your Monkey Bite. Craig has extensive studio experience as well composing soundtracks for the Knowledge Network. He has recently focused on session work with The Heels, Brian Green and the Rollin' Trainwreck among others.